How much do people spend on Easter Basket 2018 in Ukraine? The Easter basket is a custom attribute of one the most important Christian holidays, which Ukraine celebrates on April 8 this year. 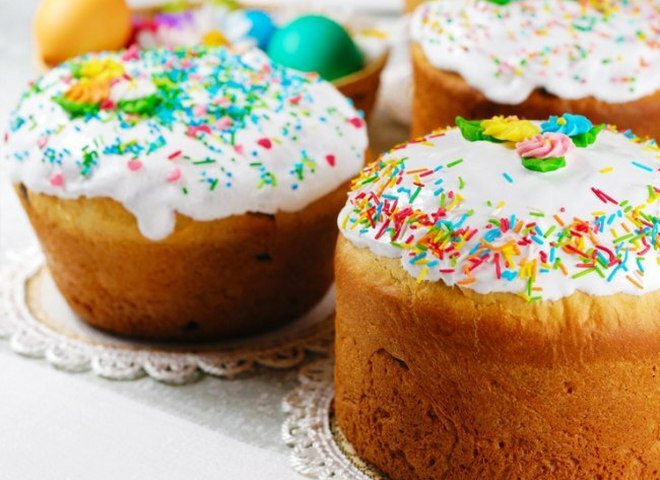 A solemn divine service to be held in the temples on Sunday night, after which by the consecration of Easter eggs, Paska (Easter sweet bread), and other traditional dishes (horseradish, cheese, butter). After a long fast, priests bless the worshipers to use again "the indecent" (not only lean dishes). The rich Easter table symbolizes the heavenly joy and supper of the Lord. 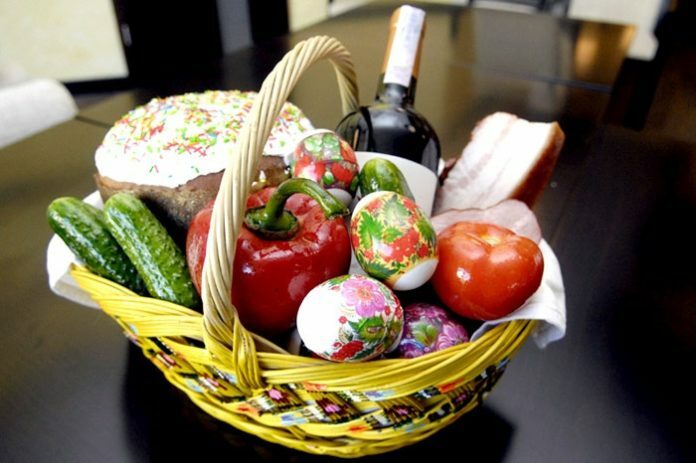 The Easter basket stuffing is always arguable (whether products, not mentioned in the prayer for sanctification, like sweets, juices, olives, spirits, are appropriate), so we will focus on products more or less common for all regions of Ukraine. According to the preliminary estimates, in 2018 Easter basket would cost an average of 25 USD. The most expensive goods from our holiday set would be meat products (if you take 0.5 kg): home-made sausage – 3,9 USD (7,9 USD per 1 kg) and baked ham – 3,6 USD (6,5-7,2 USD per 1 kg). The sausage has risen in price by 41.7% during the last year, while ham – by 38.2%. Cured pork fat costs 1,3 USD (2,6-3,8 USD per 1 kg). Speaking about the dairy products, hard cheese will be the most expensive – 2,5 (5-6 USD per 1 kg) and butter – 2,2 USD (4,1-6,4 USD per 1 kg), while cream cheese will cost about 1,1 USD (2,2-3,3 USD per 1 kg). An average price for the eggs is 1 USD per dozen. The price of horseradish (for 250 g) remained at the level of last year - about 0,4 USD. The average price for tomatoes is 2,2 USD, cucumbers 2,4 USD, apples 0,6-1 USD. The average cost "Cahor" wine is 3,4 USD per bottle. For the third consecutive year, Ternopil is the region, where Easter basket is the cheapest - 23 USD. In the Sumy region, its price will be 23,5 USD, in Rivne region – 24 USD, in Khmelnytsky region – 24,1 USD, in Chernihiv region – 24,2 USD, in Kirovohrad and Volyn regions – 24,22, in Zaporizhyia region 24,3 USD, in Chernivtsi region – 24,2 USD, in Lviv region - 24,4, in Vinnytsia region – 25,3 USD, in Mykolaivs region – 25,4 USD, in Poltava region – 25,5 USD, in Cherkasy region – 25,5 USD, in Luhansk region – 25,6 USD, in Dnipropetrovsk and Kherson regions – 25,7 USD, in Kharkiv region – 25,7 USD, in Odesa region – 25,8 USD, in Ivano-Frankivsk region – 26 USD, in Kyiv region – 26,1 USD, Zhytomyr region – 26,1 USD, in Donetsk region – 26,7 USD, in Transcarpathian region – 27,2 USD. The Easter basket in Kyiv would be the most expensive – 29,2 USD. During the year, the holiday basket has risen in price by 5,3 USD (or 26.9%). According to experts, this is due to the relatively early Easter, when prices for seasonal vegetables are still high. Therefore, if you take the traditional set without buying any additional products, you can spend 19,5 USD. In this case, it is worth considering that the pre-holiday hype would provoke prices growth, so think about buying the products in advance. * We used information from the National Research Center "Institute of Agrarian Economics"
» Easter 2018: What products can't be consecrated in church this day?